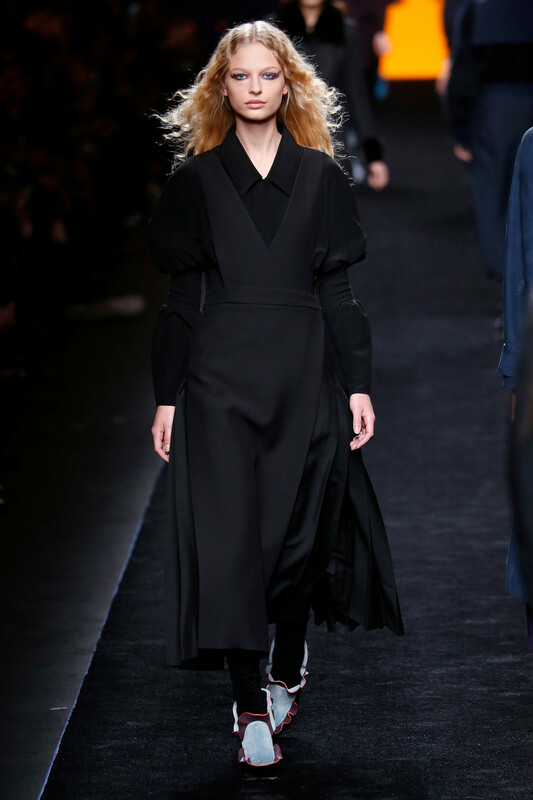 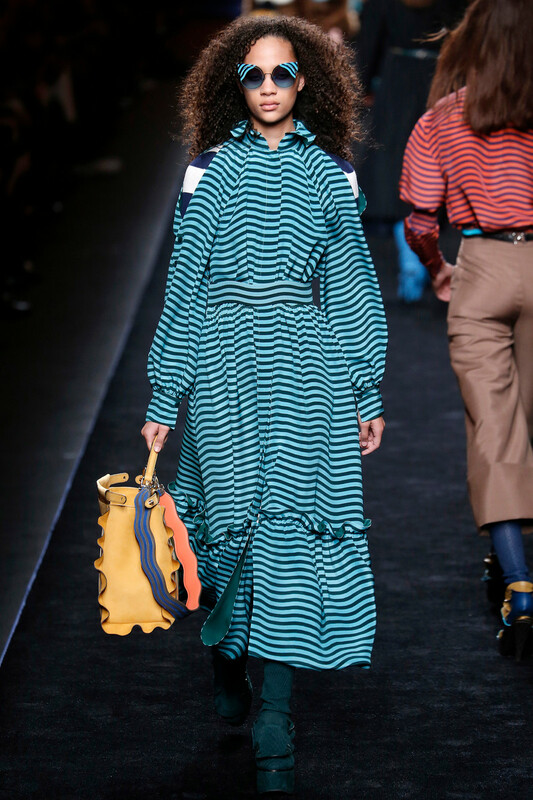 At Fendi ruffles, frills, and flounces represented waves (Einstein’s gravitational waves to be precise). 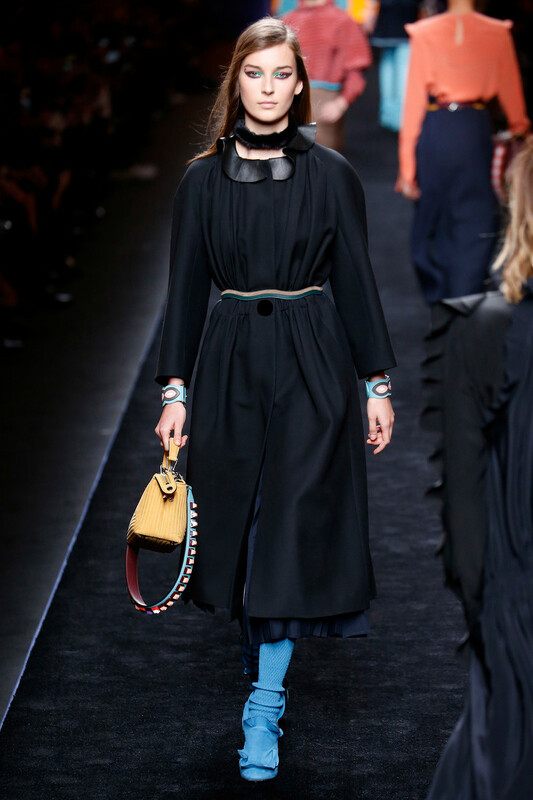 They popped up on sleeves, yokes, collars, hems, boots and handbags. 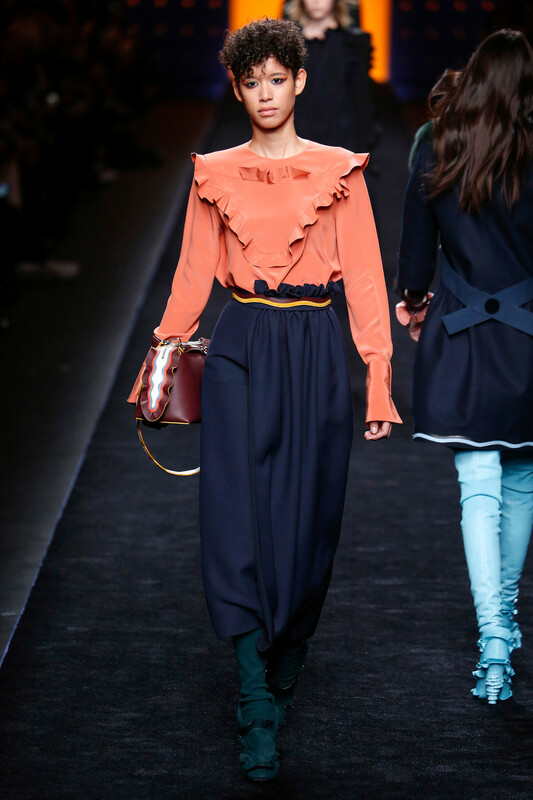 Midi dresses, a pair of babydoll shorts, 7/8 high waisted pants, an oversize quilted coat and patchwork midi skirts. 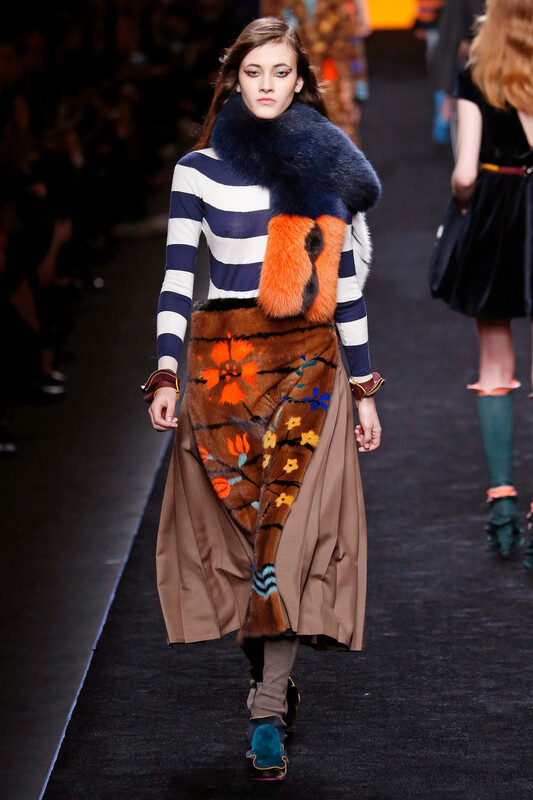 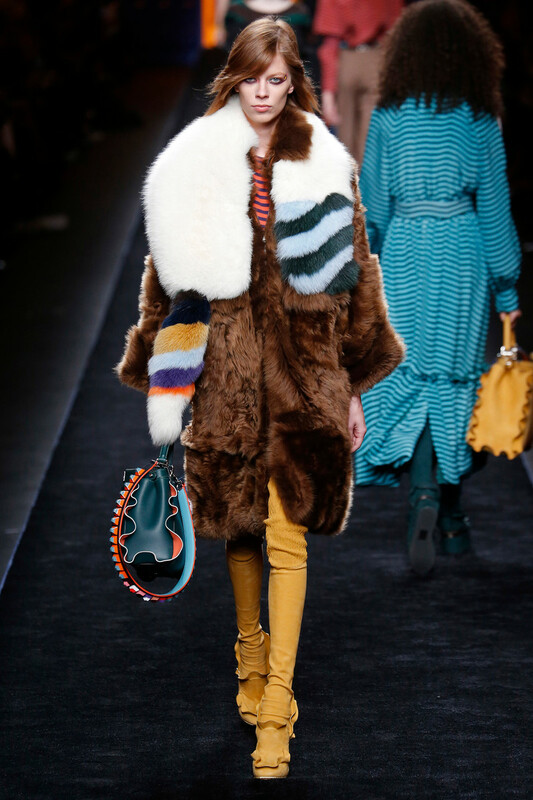 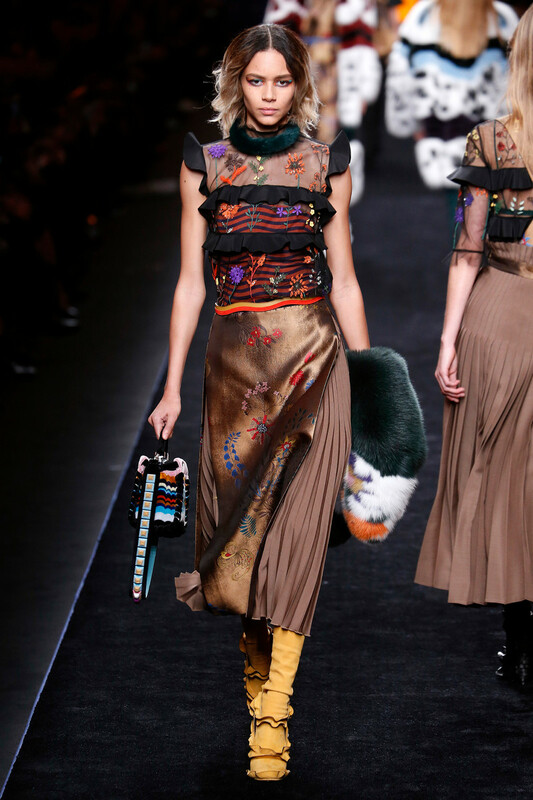 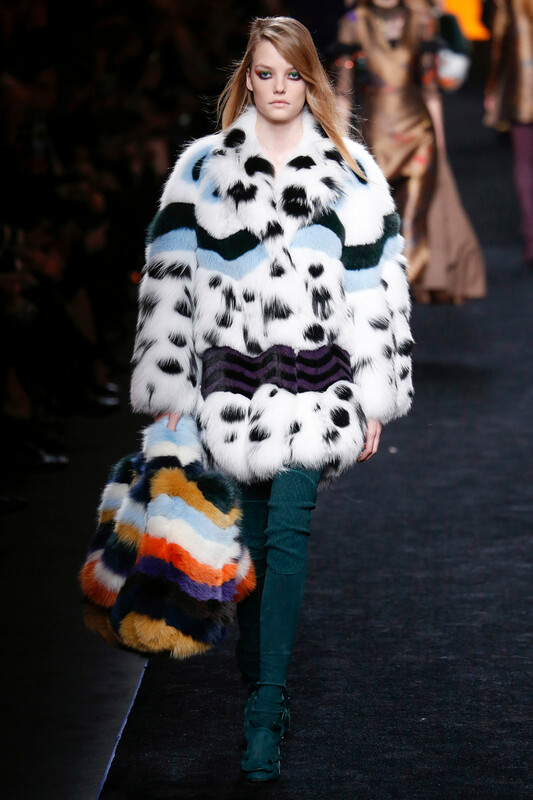 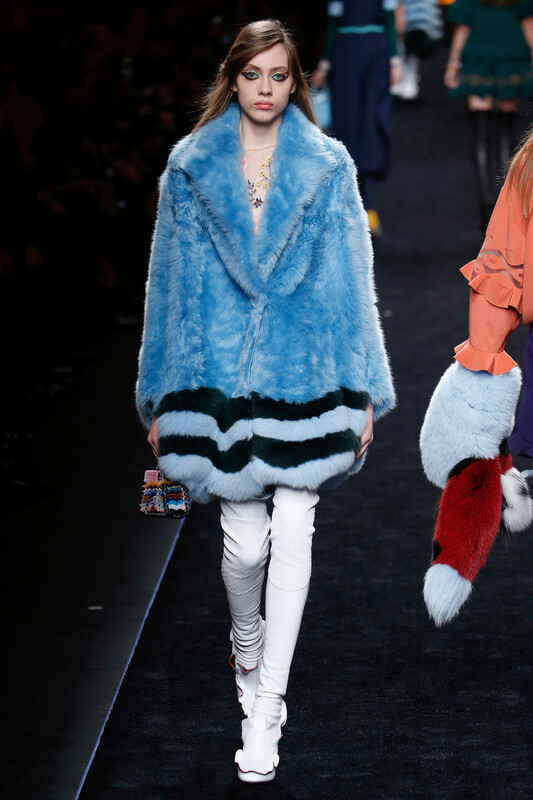 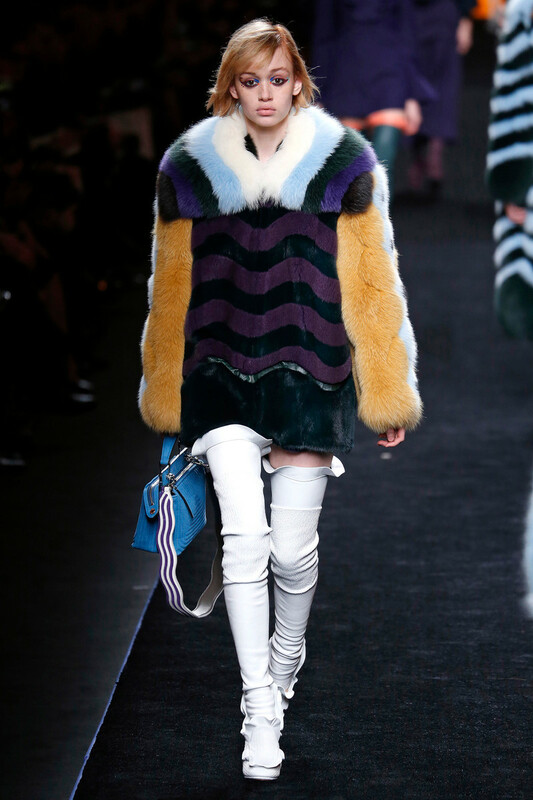 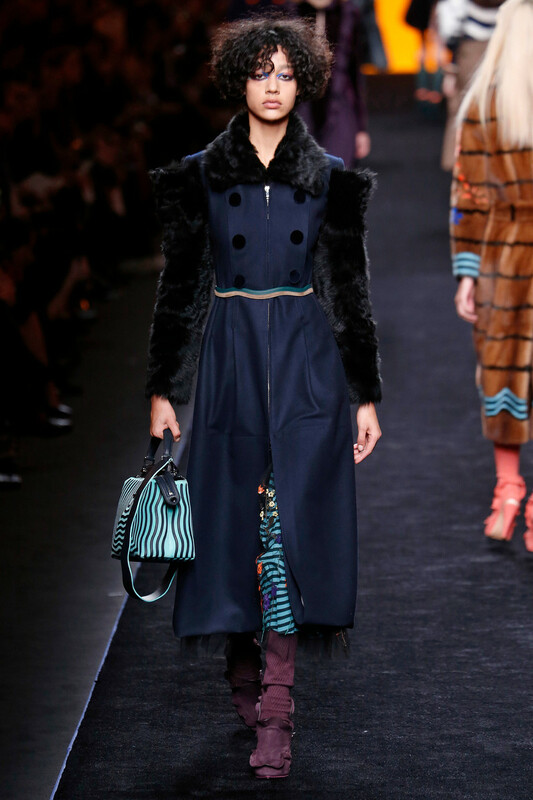 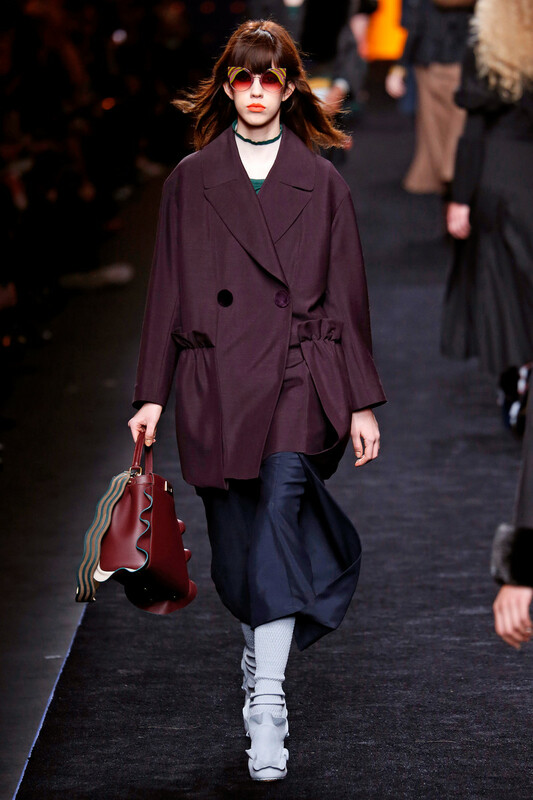 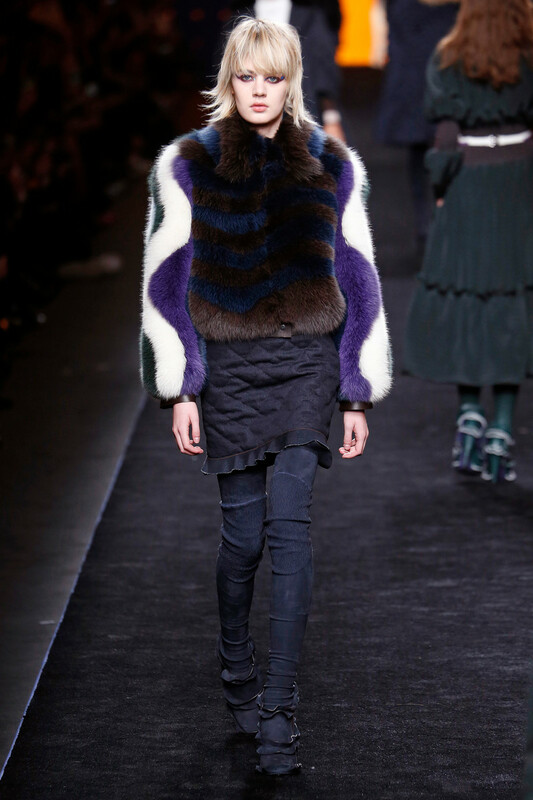 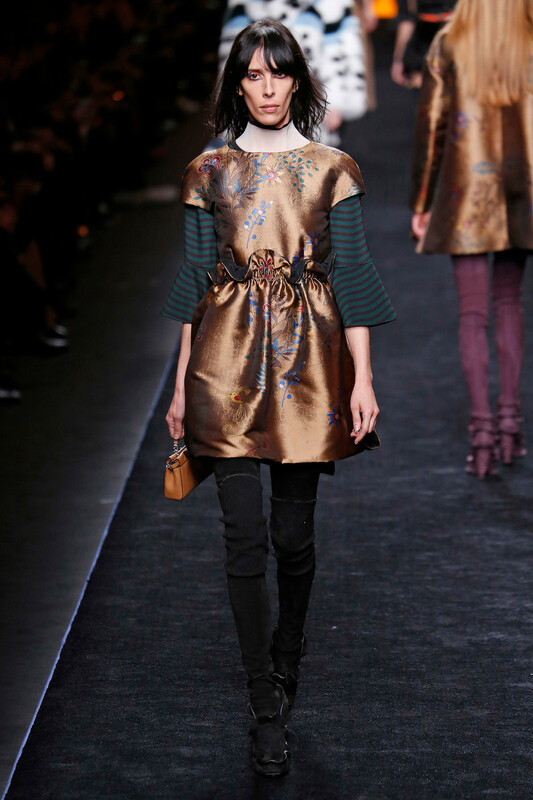 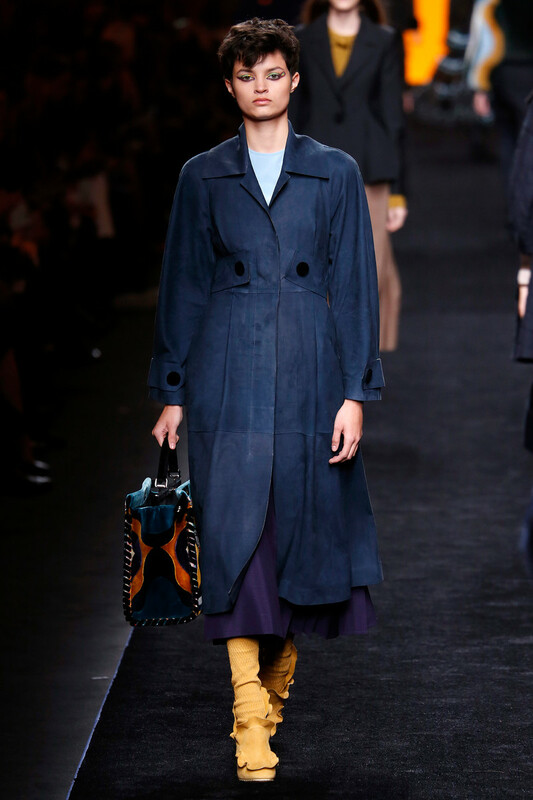 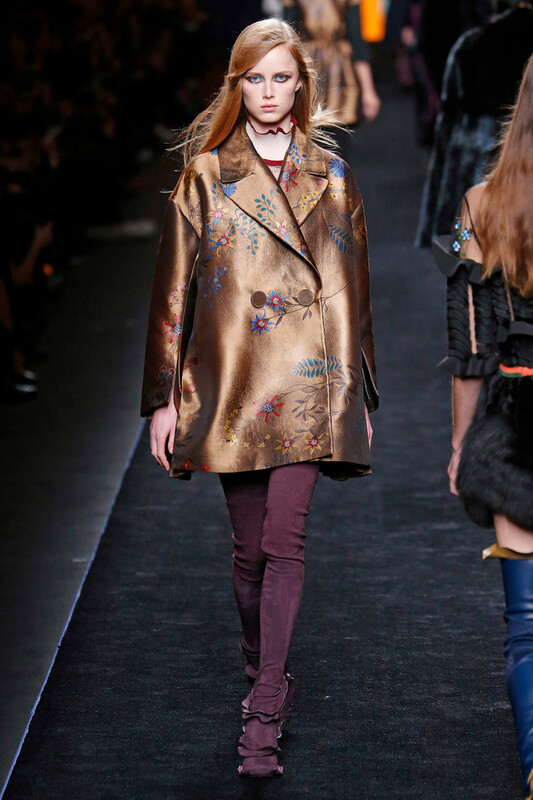 Like you’d expect at Fendi the clothes existed of a fair amount of fur, mixed with velvet and satin. 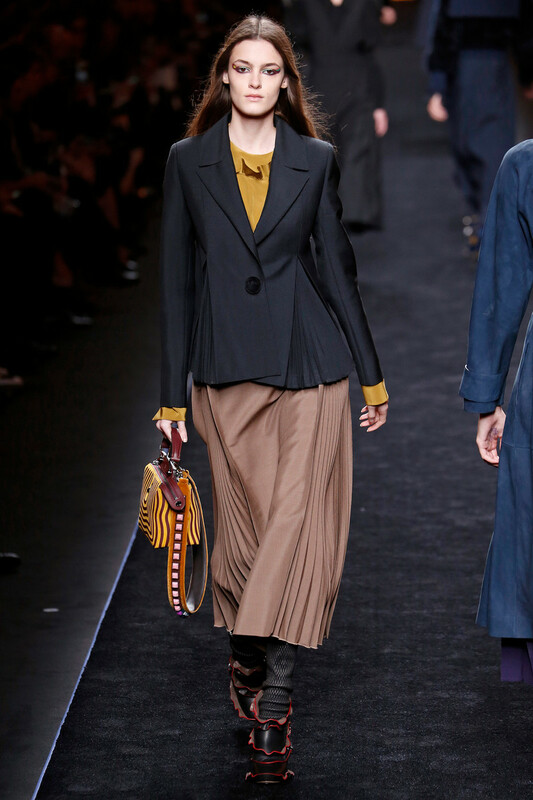 Classic rich materials to create contemporary looks. 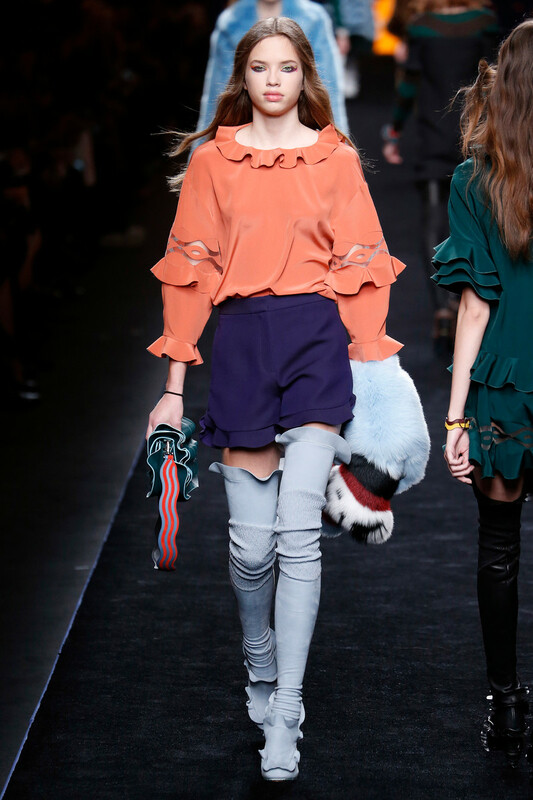 Luxury for the cool kids who have already added those wave inspired sunnies and frilled thigh high boots to their f/w obsessions. 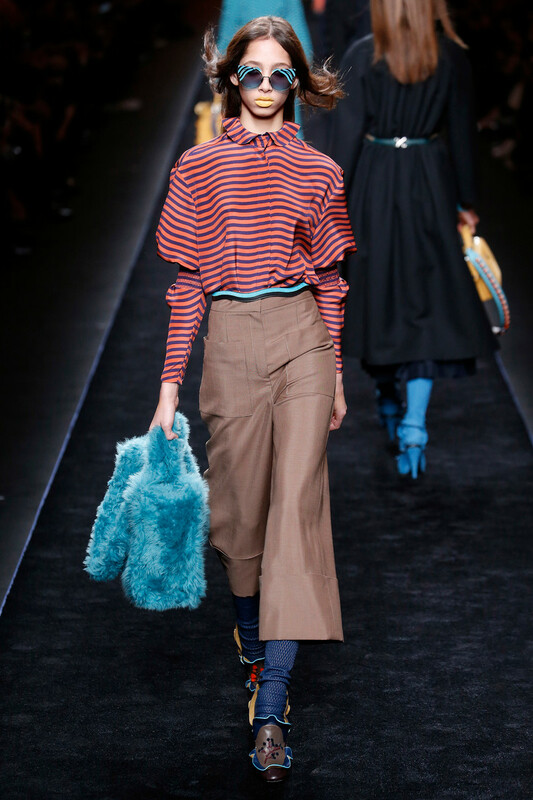 Light pastels worked beautifully with deeper shades. 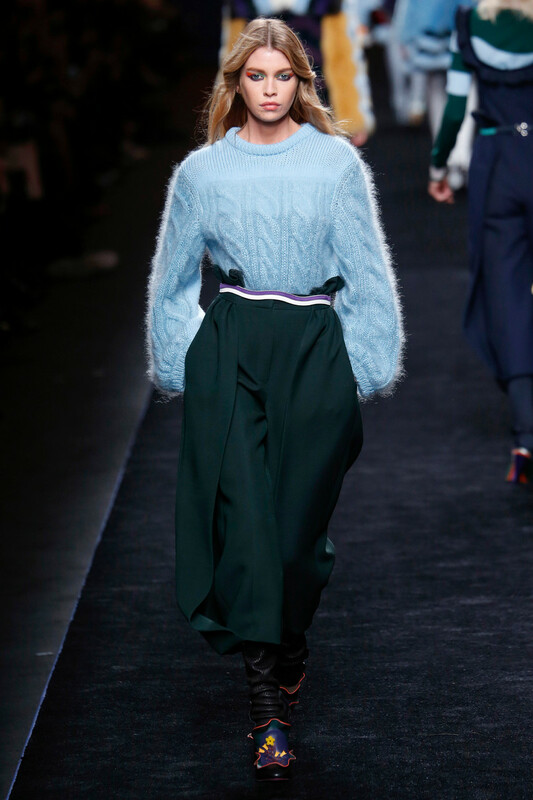 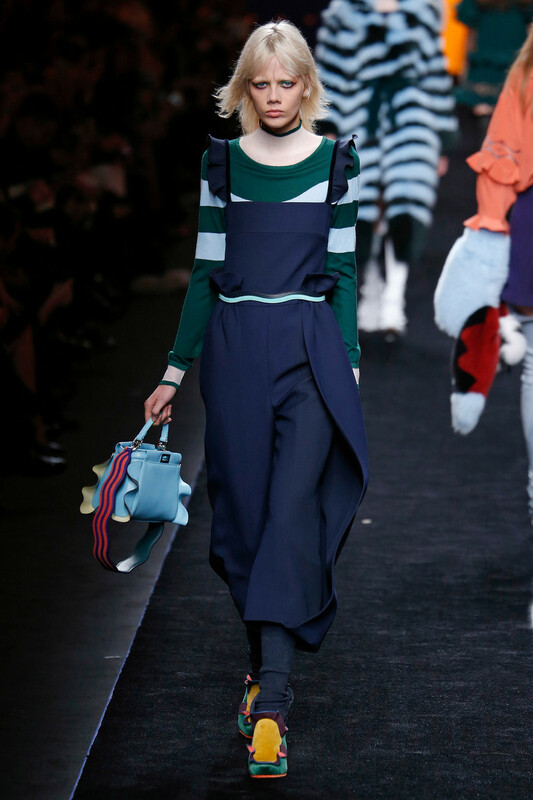 Especially in the case of a light blue cable knit paired with a high waisted emerald colored pair of pants. 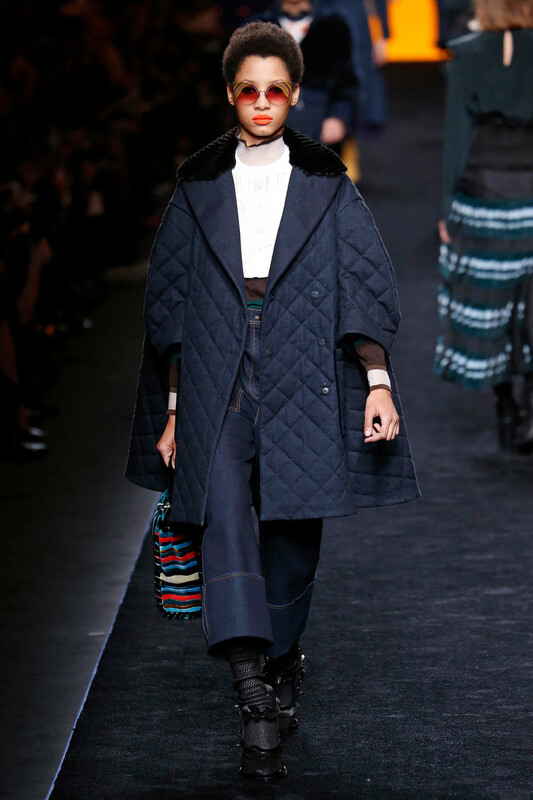 Sir Lagerfeld know how to make a wave or two.